For the first time, we are pleased to announce that the 2017 edition of the course will be held in Rome! This new venue allows us to satisfy the continuously increasing number of participants and make accessibility for participants easier than in Poppi. 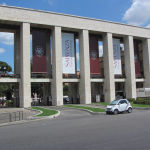 The fourth edition of the International Course on Geotechnical and Structural Monitoring will be hosted by the Department of Earth Sciences of Sapienza University of Rome. Sapienza University is one of the oldest universities in the world. It was founded in 1303 and, today, after more than 700 years of history is the largest University in Europe with more than 115.000 students and over 250 degree programmes and 200 specialisation courses. 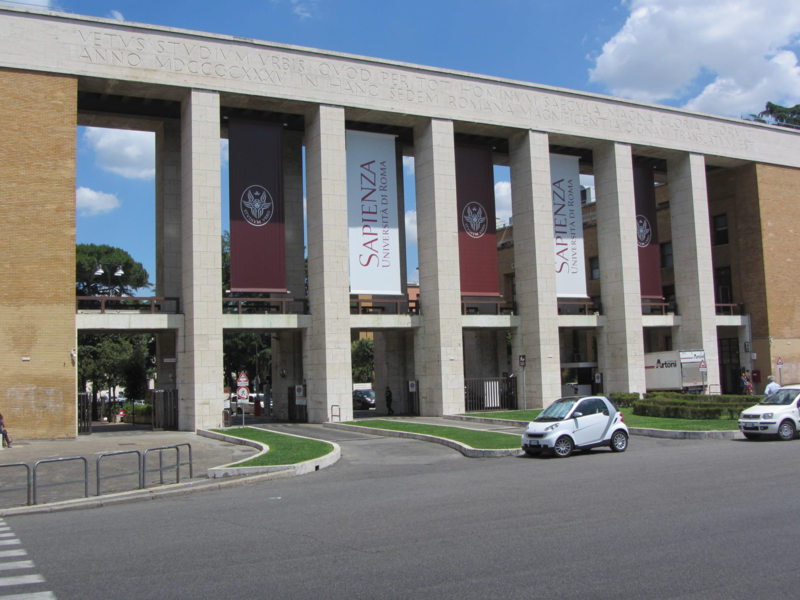 In the 1650s the University became known as Sapienza, meaning wisdom, a title it retains, from the engraving over its main gate: Initium Sapientiae timor Domini. In 1935 the new university campus, planned by Marcello Piacentini, was completed. The present shape of the Campus it is still based on the original one . The Department of Earth Sciences of Sapienza University of Rome can be considered one of the oldest department of Earth Sciences in Italy since its roots can be dated back to the setting up of the chairs of Mineralogy and Natural History on November 13th, 1804. The Department as we know it today was formally born in 1985, by joining of the institutes of Geology and Paleontology, of Mineralogy and Petrography and of Geochemistry. The Department hosts three historical museums dedicated respectively to the Geology, Mineralogy and Paleontology. The Mineralogy Museum was established in 1804 and is the oldest university museum in Rome, while the other two were established later: the Museum of Geology in 1864 and the Museum of Paleontology in 1928. The three museums are at the moment independent from each other. The new Museum of Earth Sciences, created by the merger of these museums, would be the most important Italian collection in the field of Earth Sciences for the number of items on display and conserved. At the first floor of Geology building, you can visit the room “Aula Magna” (location course), where numerous conferences and event (national and international) were hosted. Address: Department of Earth Sciences, “Sapienza” University of Rome, P.le Aldo Moro, 5 – 00185 Rome. Coming from A1 highway, take the Roma EST exit (A24). After the tollbooth, follow the signs for the city center until the San Lorenzo/Porta Maggiore exit. 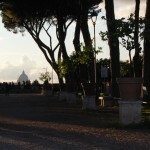 Then, take the street Via dei Reti to Piazzale Verano, which is next to the Sapienza University. From Termini Station: the University is distant about 10 minutes by walking. You can also take the bus 310 and get off at the “Università/Regina Elena” stop. From Tiburtina Station: take the bus 492 or 71 and get off at the “Verano/De Lollis” stop. 1) Leonardo Express, a non-stop service exclusively for airport passengers to/from Rome Termini railway station, leaving every 15 or 30 minutes, with a journey time of 32 minutes. Rome Termini station is the main hub of public and private transport services and railway lines, and is located near the “Sapienza” University (location of the course). 2) Regional FL1 trains to/from other stations in Rome, including Tiburtina station, with departures every 15 minutes on weekdays, and every 30 minutes on weekends and holidays. All the bus stops are opposite the International Departures. For information on timetables, routes, and the cost of tickets see the websites of the bus companies. 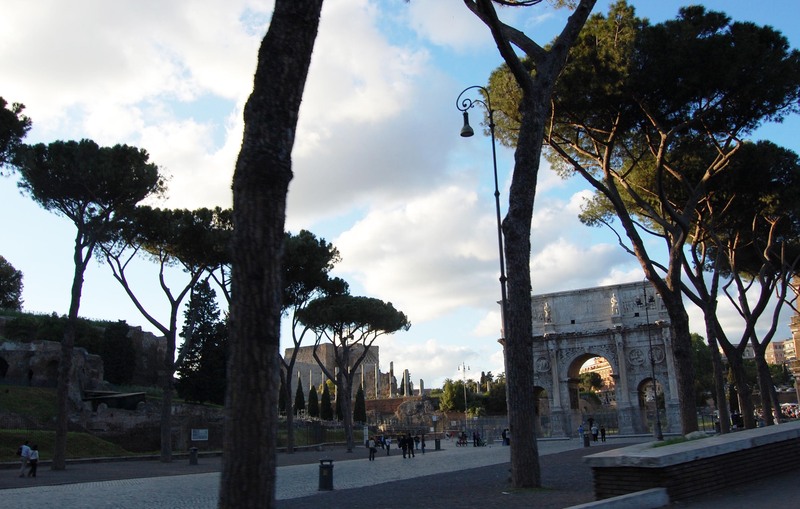 Talking about ROME the Eternal city…. Rome, known also as Urbe, Caput Mundi and Eternal City, founded in 753 BC, has been the first great metropolis of humanity, the heart of one of the most important ancient civilizations, which influenced society, culture, language, literature, art, architecture, philosophy, religion, law and customs of the following centuries. It was the capital of the Roman Empire, which extended its dominion over the entire Mediterranean basin and most of Europe, the Papal States and the Kingdom of Italy (from 1871 to 1946). 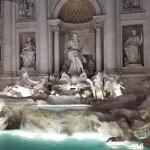 In Rome there are so many interesting things to see and do that sometimes it is hard to decide from what to start. Rome is the result of the continuous overlapping of different architectural and urban exemplars, in a unique and charming interpenetration showing the complex relationship that the city has always established with its past, in a succession of chaotic developments, periods of decadence, rebirths and the modernization of the urban fabric. 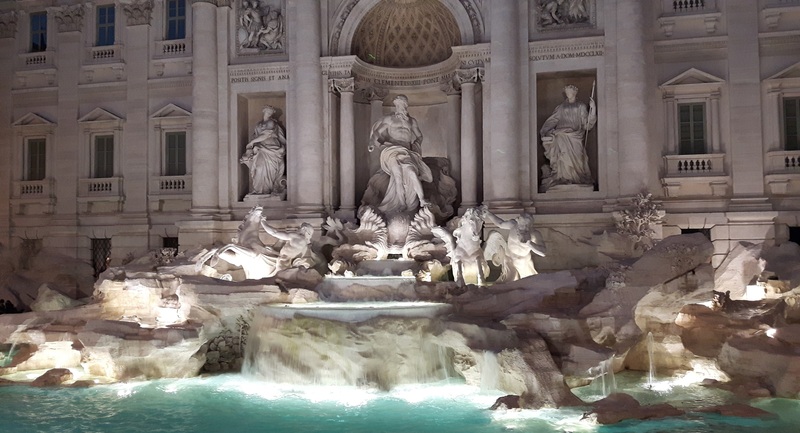 Rome is the city with more monuments in the world, such as Colosseum, Trajan’s Column, the four patriarchal basilicas (San Pietro in Vaticano, San Giovanni in Laterano, San Paolo and Santa Maria Maggiore), Sant’Angelo castle and so on. 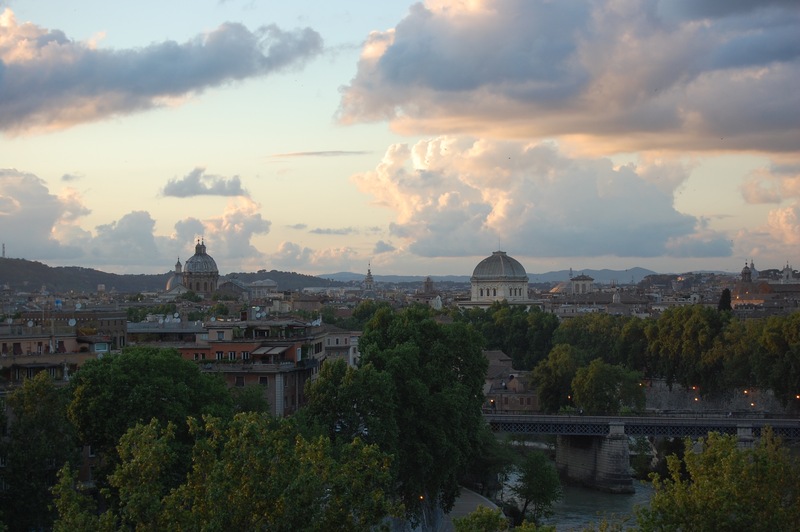 Moreover, thanks to the great entity of archaeological site, Rome can be also considered an open air museum. The history cradle of Rome is Palatino Hill, beneath which lie the Roman Forum, the Imperial Fora and Trajan’s Market, the centers of political, economic, religious and social life of the ancient world. 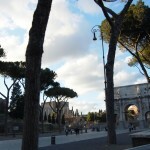 There are also other many things to do in Rome like having a trip on the ancient Appia Antica, the “first highway” in the story which connects the city of Rome with the city of Brindisi (Apulia, Italy). It was built on an ancient lava flow erupted from the Alban Hills. Walking through the street you can see romans ruins, like Cecilia Metella mausoleum, Saint Callisto’s catacombs and many others fascinating archeological sites. 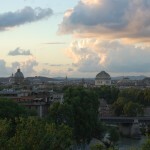 Rome is also the ideal place for an unforgettable holiday full of good food and good Italian wine! 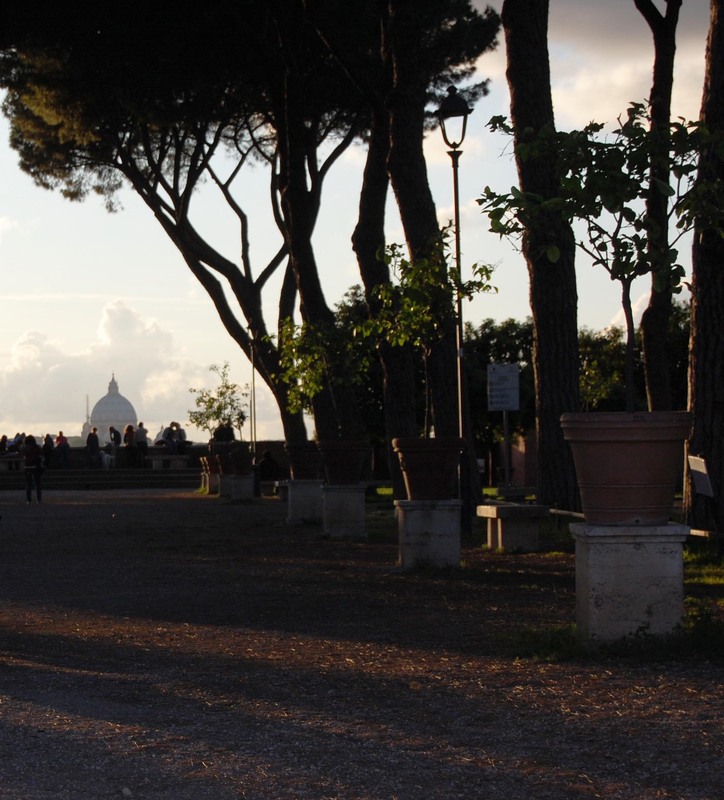 Enjoy yourself in Rome with the 4th edition of the course!